A while back, Babel Rising was pulled from Windows Phone 8 due to the tiny problem of crashing on start up. It briefly returned to Windows Phone 8 despite still being incompatible. Well, today seems like déjà vu because another partially delisted game is back in semi-working order: the Nokia exclusive tower iBomber Defense from Chillingo and Cobra Mobile. 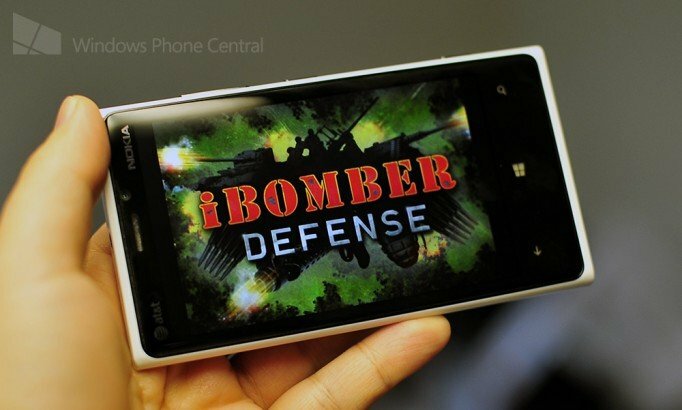 Unlike the dreadful Babel Rising, iBomber Defense has always been playable on Windows Phone 8 – it doesn’t crash on start up. However, the game suffered from several severe technical issues. For one, its frame rate slowed to tortoise-like speeds whenever there were too many objects on-screen at once. Annoying, but not the end of the world. More severely, iBomber Defense would crash whenever exiting to the main menu from within a mission or after a mission. Talk about a killer menu! Some users even experienced crashing whenever a level was completed, making several Achievements impossible to unlock. Presumably, the game was partially delisted for exactly that reason. With the recent version 1.1 update and iBomber Defense’s return, we hoped the crashing would come to an end. Sadly, our frequent tipster TNTJudbud reports that the game still crashes in the same places. It looks like the patch was either ineffective or release prematurely. At this point, the game will either disappear from Windows Phone 8 again or sit around in its buggy state…. It’s hard to tell with Xbox Windows Phone. We’ve reached out to developer Cobra Mobile and will update if we learn more about the crashing issue. I can’t test the update myself as I’m suffering from the c101a7d1 error code once more. As I lamented in our Picnic Wars update post, this Windows Phone Store error prevents the update from installing correctly. In this case, the update doesn’t seem to do much anyway, but it’s still extremely inconvenient, I can tell you. 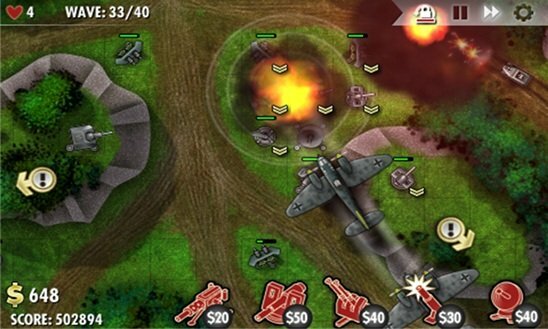 iBomber Defense is a World War II-themed tower defense game that offers two campaigns: one for both sides of the conflict. Each side shares most of the same units but has a unique unit as well. It plays a lot like the first geoDefense, with enemies approaching from one or two points and following set paths towards the player’s base. By building and upgrading towers as soon as you can afford them, you’ll hopefully keep the foes at bay and protect your base’s precious hearts. 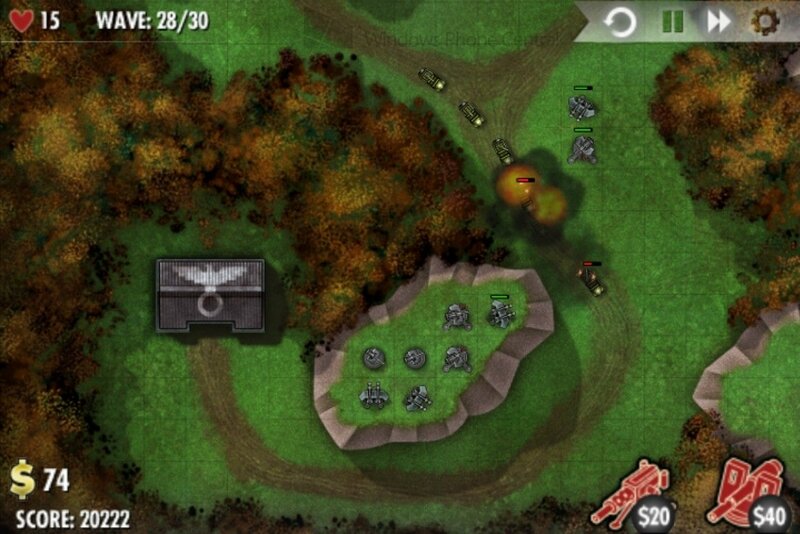 You’ll also need to protect against aerial enemies, which can only be thwarted by AA guns. Achievement completionists will probably want to steer clear of iBomber, even if the crashing gets fixed. Most of the Achievements are tied to beating Quick Play mode on the highest difficulty, an extremely arduous task. If you can overlook that requirement and just enjoy the Campaign, your time with the game will be much more pleasant. Check out our full review for details. iBomber Defense costs $2.99 and has a free trial. You can view its Store page here, but the game can only be purchased from Nokia Lumia phones.